How long have you been doing link building? What did you do before link building? First, thank you for the nice intro and sorry to have been such a deadbeat about responding. Alliance-Link has been in operation since late 2000, it came about while I owned and operated a directory featuring organic food and clothing. When I started to rank well for a large number of money terms, business owners advertising in my directory asked if I could I help them do “SEO” on their sites. Well, I had no clue what “SEO” was so I started looking around for information and found the now defunct Rank Write newsletter by Jill Whalen and Heather Lloyd Martin. Jill took the time to explain what I was doing and how it influenced a website’s visibility in the search engines and from there, Alliance-Link was born. Before that I spent 15 years in the marketing department of Anheuser-Busch and four years before that in the Civil Service. Both jobs provided valuable experience in all three of the main marketing segments – sales, promotions and publicity. It was an invaluable experience and a large part of why I work the way I do today. It’s also the reason why I won’t drink anything but A-B products. Buy Bud! Support my 401K! Do you tend to build links in spurts or at a steadier pace? Depends on the industry I’m working in. I use a tiered approach where one part of the linking service dovetails into the next or two services work in tandem. That way I increase my chances of attracting more links from different sources and can use the resources from whatever promotion I’ve created multiple times. For example, if we’re focused on distributing link embedded content I’d build out the host site with a detailed version of the content (complete with photos, video, downloads etc). Much shorter versions would be sent to topical bloggers with a redeemable incentive or freebie for their readers. At the same time we’ll contact key media and announce the new resource. Once both the bloggers and media have been notified we’ll launch a standard press release and email the client’s customer base with an announcement and link incentive. All four tactics run either simultaneously or within days of each other. I am less concerned with attracting large numbers of links in a short period than I am of attracting many of the SAME type links. I try to avoid that. Are you a fan of paid links? I’m a fan of good solid links. If I need to pay to get them, then yes, I’m a fan. But I’m definitely not a fan of the “paid links are evil” discussions going on all over. Google has its guidelines and either you choose to follow them or you don’t. I believe it’s that simple. If you don’t and feel paid links are worth the risk then buyer and seller beware. Search engines aren’t the only link police on the block anymore. What are the most effective ways to buy links? Anyway you can that keeps you under the radar! LOL… It’s trite but true. I like to buy advertising links from large membership based organizations and associations and negotiate their email and mailing lists as part of the deal. This is especially effective for new product launches or rebranding since you can incorporate a special sales offer as part of the link request. Since you’re marketing to businesses belonging to a membership based association, you’ll end up with topically focused links from established companies. It’s the ultimate “link within your industry” tactic. I also do a lot with paid and traded sponsorships. Find a publicity vehicle in your industry and buy a top sponsor position taking care to negotiate for options like mailing lists and viral email campaigns. A lot of people talk about this tactic in terms of finding a charity to sponsor – and that’s FINE but unless the charity has a national presence you’ll see little return in residual linking. Charities don’t give out donor lists and don’t include private business in mailings and auto responders. Basically, there is little opportunity for viral reach. I wrote about finding sponsors recently, how to use them to build links and a couple of sources to mine for partnership leads. It might help if you’re interested in this type of link marketing. Is anchor text still a big deal? Do you ever buy low quality links just for anchor text? Yes I believe anchor text is still a big deal and yes occasionally I use low quality links for anchors. There are always handfuls on the lists I buy, I can’t help that. As long as they’re in Google’s and Yahoo’s index, its fine and I’ll use them. I know there is a thought process out there that says – get links from a wide variety of sites since it emulates a natural linking pattern but I don’t purposely design a strategy to include a certain number of low quality links. I figure the scrapers will be by in due time and I’ll see some links from them so that’s enough junk for me. That said I do keep an eye on the types of sites I’m extending my special promotions to and will eliminate a site from my list if it’s not indexed or hosts links to an objectionable site. For me, this is one of the most time consuming parts of link building – checking partner sites for compatibility. How do you get focused anchor text while keeping the link profile looking fairly natural? You make it sound conversational. It’s why using blogs to build links works so well. It’s much easier to embed links into a conversation than a static page. Do you ever create content as a link building strategy? How do you know which webmasters to target and what ideas are likely to spread? Well I personally don’t create the content but I do write the marketing plan that recommends what content should be written and the tactics used to promote it. I’m lucky to work with a couple of gifted women writers who NEVER let me get involved with that part of the linking program. I stick to research and linking and let them write. When I start a job I never know which websites to target, that comes as a result of hours of research and review work before the first link is ever negotiated. I spend almost half my time researching the client’s industry looking for trendsetters as well as the sites getting the most attention and ranking well. The bigger the site the more keywords they have and the longer you have to look. It’s probably easier to hit the Powerball than to figure out what ideas will spread and net links for a website. I’ve been wrong my fair share of times, sometimes it’s more about being first than being creative. It’s not beyond me to look at what’s been done before and try to tweak it to fit my client’s products and services. I look for old press releases and articles printed in offline publications for leads as well as scour YouTube for old video. Ideas are only lacking if you give up looking for them. I am always amazed at what people will do for a free tee shirt. I had a client who offered a free company tee shirt to anyone linking to their site. We ran the promotion through their newsletter, email and snail mail list and converted over 22% of the membership. It was a substantial numbers of links. The offer was simple. Link to us and we’ll send you a shirt. After a year, over half of the links were still in place using the targeted, anchor variations we provided. All for a beefy tee. Go figure! Getting people to link to a site that has little linkable content means you need to know a good deal about the people who use your products. You might not have anything worthwhile on the site but if you know what motivates your customers you can create a “deal” and provide it as an incentive to link. Talk to your customers and ask what it would take to get them to link to you. Do you ever recommend going to trade shows or doing anything else offline to build linkage data? What do you do if an industry exists mostly offline? I’ve never recommended a client attend a trade show as a way to increase their inbound link counts but after thinking about it, it’s not a half bad idea. Anytime you have face-to-face opportunities with the people buying your products you have opportunities to capture links. It could be as simple as saying – “hey, link to us and we’ll give you $100 bucks off our widget” or some other incentive. It’s a passive approach but then you’re not expending any energy or money to get the link so why not? Industries that exist mostly offline have online counterparts and that’s where I’d start looking for opportunities. Where’s the media covering their niche? Where are the how- to sites and the reference sites covering what they sell? Find those and you’ll find spots to secure links from. If a client is unwilling to change their site how do you make their site more linkworthy? If a client refuses to make recommended changes there isn’t much you can do overall except buy your link love. This happens more than you think, a lot of big companies have rules and CEO’s that make it hard if not impossible to change content. I try not to work with these types of accounts, linking is hard enough as it is. Sites like this can also add themselves to the directories and do a little utility linking for inbound links. Do press releases still work? Are there better ways to garner media exposure? Yes and yes. Press releases still work at attracting attention, and some are indexed in various media portals but overall they provide little link popularity weight. I recommend clients buy a subscription from one of the media relations companies like Burrells Luce or Bacon’s. They provide media lists that are constantly updated and categorized by industry making it easy to find the right journalists. They also have a list of editorial calendars for many trade and consumer publications which allows you to submit content for consideration or reserve advertising space in a timely manner. I also recommend you mine Topix on a continual basis for media contacts as well as basic sales and marketing opportunities. I get more from that site than many others! Has link building changed at all since web2.0 came about, or are more people now aware of some of the techniques you have been using for many years? Yes, I believe both linking and society as a whole has changed since Web2.0 has come about. The timing was right for the technology to morph and for the younger generation to be drawn in to push the growth forward. Google became a verb, MySpace the corner hangout and LinkedIn the company water cooler. Throw in the blogosphere as a pastime second only to baseball and yeah, I’d say linking has changed. Funny thing is – the way I link hasn’t changed. I have more resources at my fingertips and more people to target but in the end, I still have to write the promotion, ask for the link and add it to the site in order for it to count. Even newer tactics like “link bait” need research and review before the first article can be written. So the principles haven’t changed but the vehicles have. Are there directories media members look for when searching for a contact for a story? If you’re a verifiable expert in something find resources like the one above and add yourself to them. And I stress “verifiable”; you need work experience, references and education to be considered so get your resume together before you run out beating your chest. No member of the media will use a resource (meaning you) unless they can verify their expertise. What are 3 of the easiest things a webmaster can do to improve their site credibility and linkability? Survey your customers and ask what they’d like to see on the site and then give it to them. Once you’ve upgraded the site, ask the same customers to link to it. Add an incentivized “link to us” request in all correspondence (auto responders, confirmation emails, reminders etc). Make the incentive a bounce back to stimulate further sales. Develop a fully functional resource center. Include all the information about your company and your industry you’d expect to find in an encyclopedia and then add photos, videos and podcasts. Look up what’s been written about your company by others and include that as well. Alert those authors and the media once the resource center is up and running..
I’ve been doing the last one since I started in this business; I call it building a “link library” on your site. It’s a corny old term but it’s the most effective linking attraction tactic I use. When do link exchange partnerships make sense? They make sense when you want to deep link using a specific term or if you want to launch an awareness campaign. I’ve always said the power in reciprocal linking isn’t the link as much as it’s the control you have on what it says and where it points. If someone wants to swap links and you agree, look at the page the link will sit on to be sure it’s not one of a hundred. Give the partner site a well worded anchor text link surrounded by carefully crafted verbiage that points to an internal money making page. If the partner site balks at giving you the additional real estate then I say pass on the link. Even well crafted anchor text links can benefit from intro or explanation paragraph around it. Reciprocal linking also makes sense when it’s done “outside the box”. There are times I’ll offer link space on a client’s site in exchange for space in a mailing (online or off) to introduce a new section/product/service on a site. In this case I’ve swapped placement for exposure. Invariably I’ll see a link or two out of it but the purpose behind that promotion isn’t to build links but to build awareness. When do business partnerships make sense for link building? How do you leverage someone else's brand to build links for your site? I just blogged about how to leverage brand to build links on The Link Spiel, the partnership between the two sites mentioned is a classic case of targeted co-promotion. Partnerships can be as simple as donating time to a forum in exchange for signature/content links or can be more structured and formalized like the companies Wallstrip and optionsXpress mentioned in my blog post. Consider creating an advisory board and invite people you know and respect to be part of a business partnership. Credit their work as you promote yours and you’ll find they’ll link to you. Directories have fallen out of favor amongst many people on SEO forums. Do they still hold any weight? How do you tell if a directory is worth listing your site in? Yeah, directory bashing by SEO’s seems to be the rage these days which is funny since so many of the newer ones have been developed by SEO’s. The concept of “merit based inclusion” is what makes securing links in the better directories desirable. It’s reasoned that search engines bestow hub authority on these sites because human review is necessary before a site is included. And since human review is part of the co citation process search engines are programmed to reward, it stands to reason these types of sites would pass link popularity. Is the page my link will sit on in the Yahoo and Google index? If not, why? Is it something simple like it’s a new page or is something blocking that spider? Does the home page of the directory show PageRank but not the internal pages? Do the directory pages host an inordinate amount of adsense? If they do, I pass. Same applies for site wide links. If there is more than a handful of site wides, I walk. If it’s a paid directory, is it a lifetime or annual submission fee? I go for lifetime with the exception of the Yahoo! Directory which I advocate using if you’re a new business. Do you have to use the name of your business in the anchor text link or will they allow descriptive keywords? If they do, I mix up the keywords and the descriptions. Does the directory allow deep linking? How long has the directory been online? My threshold is two years. Does the directory have an RSS embedded on its category pages? 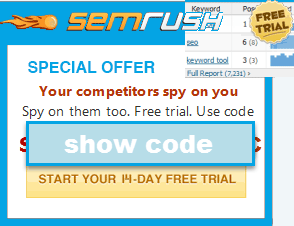 This is a bonus for me as I can keep tabs via keyword settings on new sites being added. And lastly – does the directory allow you to edit submissions? It’s helpful to be able to change your descriptions/anchors to reflect the changes in your business. I always submit to the “tried and true” directories such as JoeAnt, Ezilon, GoGuides, BOTW, UnCoverThe Net and RubberStamped as well as any niche directories I can find. And yes, I still try to get into DMOZ provided I find a category editor on the page I want to submit to. Otherwise I don’t bother anymore. One last tip about using directories…You’ll find a lot of the niche and local directories are hobby sites run by enthusiasts or business owners. Look around these sites for email signup boxes or an indication they publish a newsletter. If they do, write the owner and ask if he’ll resell his mailing list or allow you to place a text link ad in their newsletter. You’ll find it’s an inexpensive way to reach a targeted audience. When should a company build links in-house? What amount of the link building should they do and when does it make sense to outsource? A company should be building links the minute their site hits the Web! I recommend a new company use an experienced link building firm to develop a link marketing plan and a detailed analysis of the linking landscape. (Both crucial to move forward). The idea here is to research the linking structures of well ranked sites and determine what helped get them there. Whether you hire a consultant or use in-house staff shouldn’t matter at this point, both would have a first rate link marketing plan to work from. That said I do believe it’s a good idea to bring in a link building consultant every nine to 12 months to refresh your in-house staff and bring them up to date on what’s working and what’s not. Or - at the very least, keep one on retainer and schedule monthly updates. Thanks Debra. If you want to learn more about link building check out Debra's blog, The Link Spiel. Thanks for this, Aaron. I subscribe to Debra's blog as well as yours and several others on the topics of linking...but this is the best interview I've read on the subject in recent memory. Many of my sites don't fall into traditional categories, so it's not always easy to apply the accepted wisdom on the subject. But there were definitely some things in here that I can use. This is really great stuff Aaron. It's given me some good ideas and another great resource. You're so good to me! Great information - both questions and responses. It's amazing that no matter how much, and how rapidly, things are changing, tried and true techniques still prevail. For people just starting, or still learning about link building, it's invaluable to learn from resources like these. This is definately going to help with the seo services I provide clients ~ and really, isn't that the point of all this info sharing? Thank you again for the awesome resources you provide. And, as soon as I get a few more sales... I'm buying your book ~ can't wait! Thank you, had an "aha!" moment whilst reading through that. "Thanks for this, Aaron. I subscribe to Debra's blog as well as yours and several others on the topics of linking...but this is the best interview I've read on the subject in recent memory." Aaron! Top notch man. The best interview I have read on seobook.com so far. In my short experiences with SEO. I have found that link building can be the most tricky task depending on your niche. Its one of those blog topics that will never die. "And yes, I still try to get into DMOZ provided I find a category editor on the page I want to submit to. Otherwise I don’t bother anymore." I do the same, but I find it so irrelevant to be in DMOZ anymore. I usually submit anyway just for kicks. "One last tip about using directories…You’ll find a lot of the niche and local directories are hobby sites run by enthusiasts or business owners. Look around these sites for email signup boxes or an indication they publish a newsletter. If they do, write the owner and ask if he’ll resell his mailing list or allow you to place a text link ad in their newsletter. You’ll find it’s an inexpensive way to reach a targeted audience." This is so true. Not only is it inexpensive, but usually has a great ROI. I believe what I would like to coin as "niche marketing" is something that will evolve in the short future. Yeah I know its prolly already been coined. This was definitely an informative and enjoyable read. Thank you both for taking the time for this interview. I've learned a good bit as a result and I will be following Debra's blog regularly.